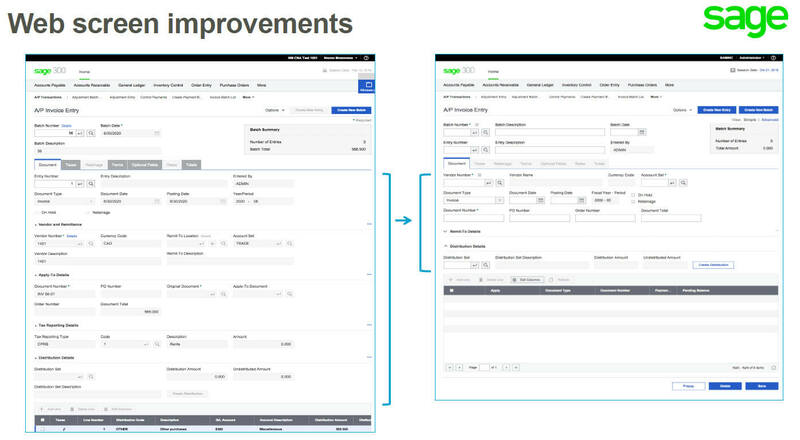 Sage 300 2017 new feature enhancements in action. Already using web screens in 300c 2016? Sage 300 (Accpac) 2017 introduces redesigned web screens that improve workflow and efficiency. 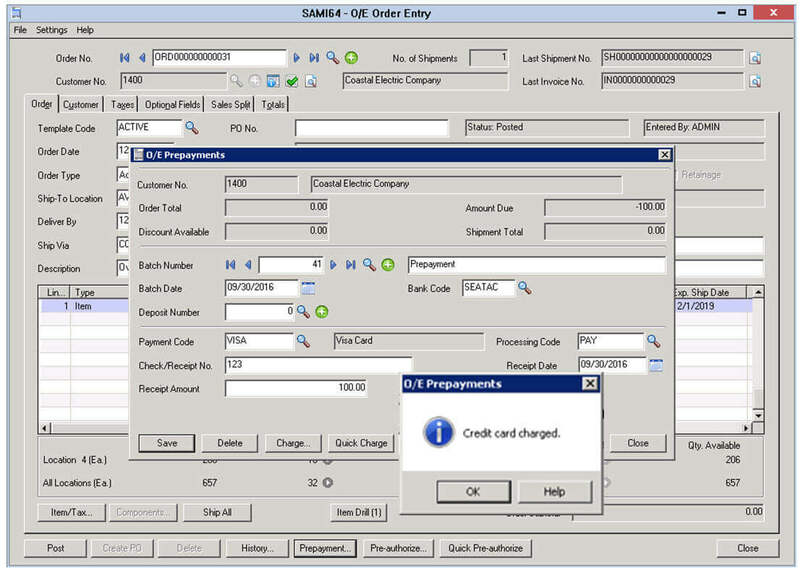 Fields and controls on some of the most frequently-used transaction entry screens have been retooled so it’s easier to hide fields and functions that you only use once in a while. You can easily remove fields and labels in web screens that are not utilized. Screen size re-adjusts dynamically when fields are removed. This helps with simplifying web screens that are data-heavy. Another new function with the web screen is the ability to edit field labels. Transfer information across your organization. The accounting department team can alert the salesperson about a specific customer situation. Or your warehouse manager can remind other teams of the inventory overstock. Notes can be created for Customers, Vendors and Inventory items. So what is the difference between Notes vs. Comments? Here are some examples situations. Use Notes when it is a temporary reminder or it is information that you want to proactively communicate across company. Use Comments when you are tracking the history of the customer/vendor or if it is more of an internal comment. There might be times when you want to add to both. New controls have been added to frequently-used transaction entry web screens so it’s easier to hide fields and functions that you only use once in a while. The screens have also been retooled, reorganized, and widened so you scroll less, but see more data. In addition to the improvement of existing web screens, new web screens were added for General Ledger, Accounts Payable, and Accounts Receivable that you can use to create accounts and to enter, manage, inquire on, and process transactions and transaction batches. On the web screens, a new Notes panel allows you to easily create new notes as well as edit, dismiss, or delete existing notes. In the classic windows screens, a new Notes button on the desktop allows you to add and manage notes. In short, Notes across the application have better visibility and are easier to manage. Sage 300 2017 features new Quick Charge functionality that processes credit card payments with just one click. You can also select pending invoices for multiple customers where previously, it was only possible to process one customer at a time. In Order Entry, new buttons have been added that allow you to quickly pre-authorize or process payments with fewer tasks and keystrokes. If you use customized SAP Crystal Reports®, a new Reports List lets you create a list of links to the custom reports you and your team use most often. 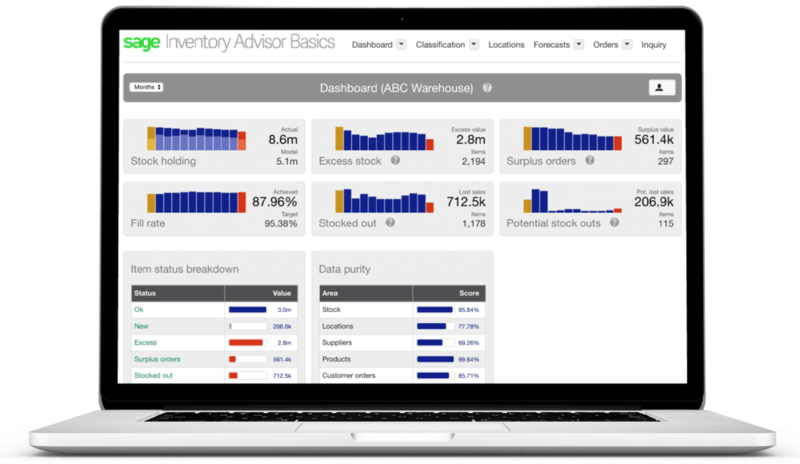 Sage Inventory Advisor Basics is a cloud solution that helps companies reduce excess inventory and free up working capital while minimizing stockouts and increasing revenue. It is now included with select Sage 300c bundles at no additional cost. 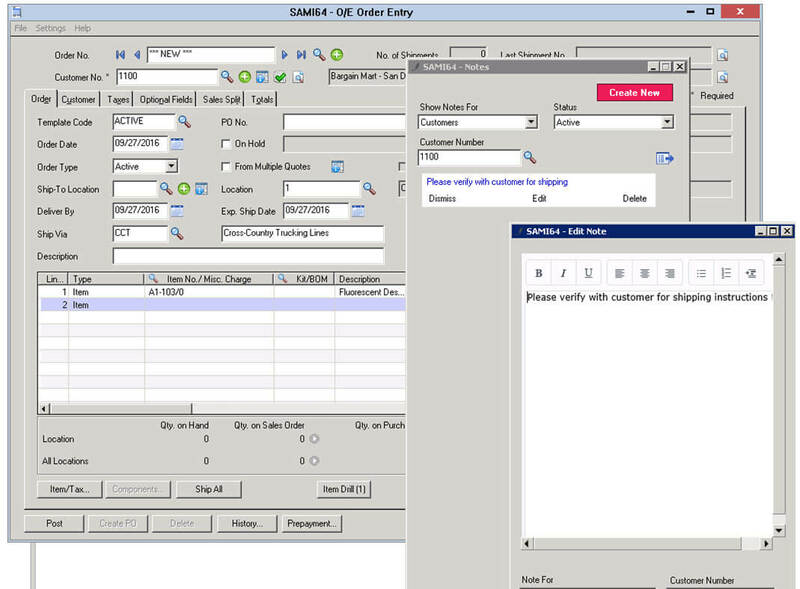 Read more to learn about this enhancement to Sage 300c and what it means for inventory management. Earlier versions "What's New Guide"
Are you running an earlier version of Sage 300 (Accpac)? We will provide a Sage 300 2017 upgrade quote. Contact us today.